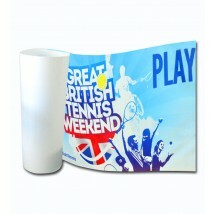 Event branding solutions for event organisers & sponsors. Discount Displays have been branding outdoor events for over 30 years. 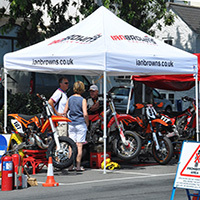 View our range of outdoor event equipment and printing below, from signs and flags to promotional counters & pavement signs. Signs and banners for every type of outdoor event. Best selling 4mm thick Correx event signs - durable, weatherproof and economical. Easy to install. Long term event signs that can be screwed nailed riveted or stuck. Water resistant and self-extinguishing. Printed full colour banners. 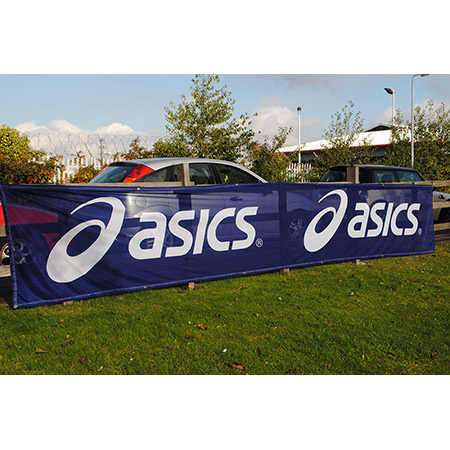 Welded banner edges and durable eyelets, choose from PVC, mesh or canvas material. Wide range of event flags for all occasions. 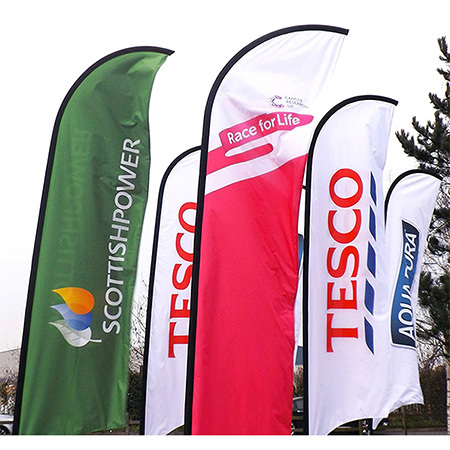 Modern feather and teardrop flags, flagpoles, forecourt flags and more. High quality custom printed outdoor posters, ideal for promotional events. Available in a choice of sizes. 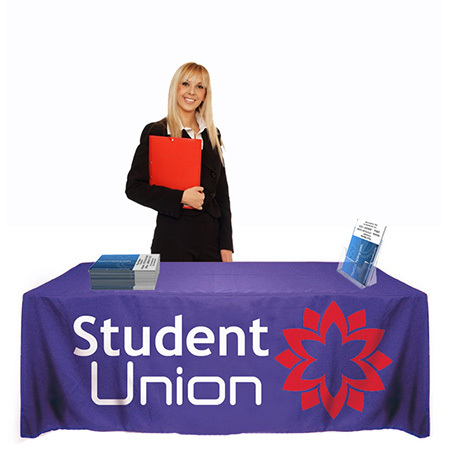 Range of banner frames ideal for events; aluminium, popup, overhead. Option to add custom printed banners. Pre-printed and custom printed bunting available in a choice of styles and materials. Perfect for outdoor events. 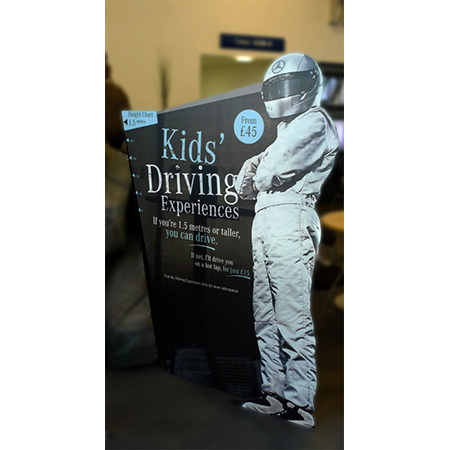 Custom printed cardboard cut-outs. 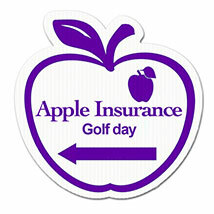 Printed onto 3mm foamex or heavy duty card. Company branding or celebrity cut-outs. Aero Banner allows the wind to pass through making it ideal for indoor and outdoor event branding. 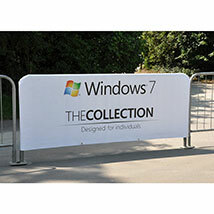 Display your custom printed branding, fits easily onto crowd control barriers. Double sided printed graphics. 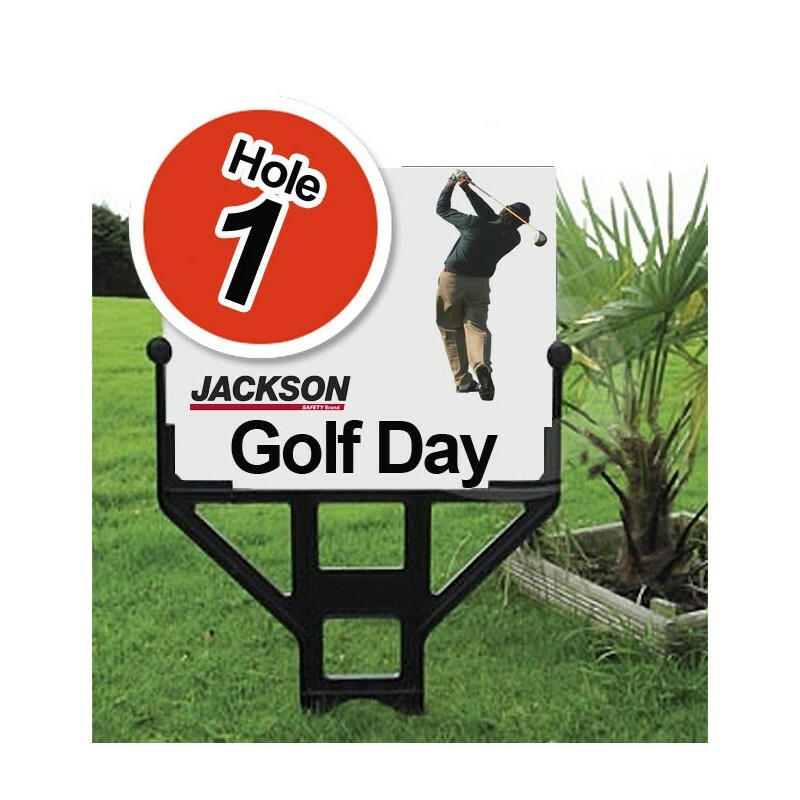 Range of outdoor banner stands with custom printed graphic. Design service available. Range of floor graphics and tiles. 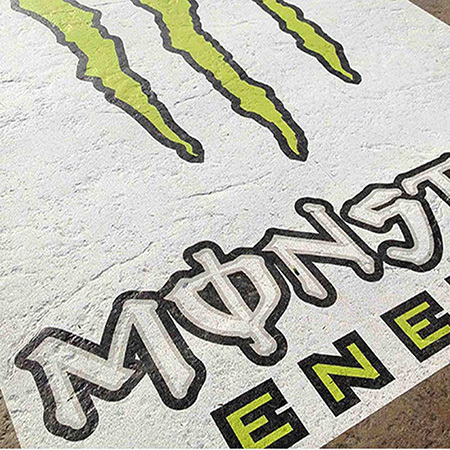 Create walkways or promotional areas with our floor tiles and graphics. Custom printed table cloths in stunning full colour. Ideal when used with event table. Wrinkle resistant. Simply push into the ground, Correx panels slide into slots. Single or double sided printed sign. Heavy duty powder coated steel frame with easily extendable legs. Flameproof and waterproof fabric. We can use our 30 years of experience to put together a package for you of event hardware and printing. The convenience and cost savings of a one-stop shop. Our range of outdoor equipment and printing has been designed to get the most out of any event. From local fundraising fetes, golf days to major international events such as the London Triathlon. 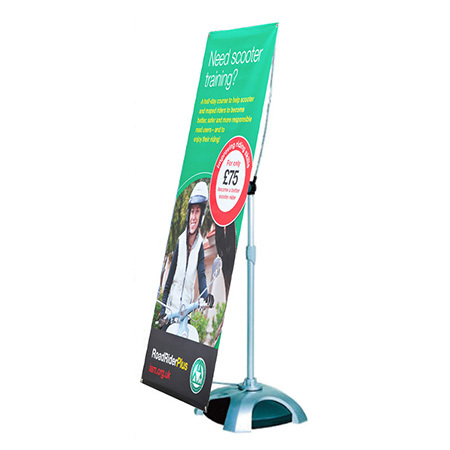 Discount Displays also offer a tried and tested range of event marketing and advertising hardware ideal for event sponsors and event organisers. 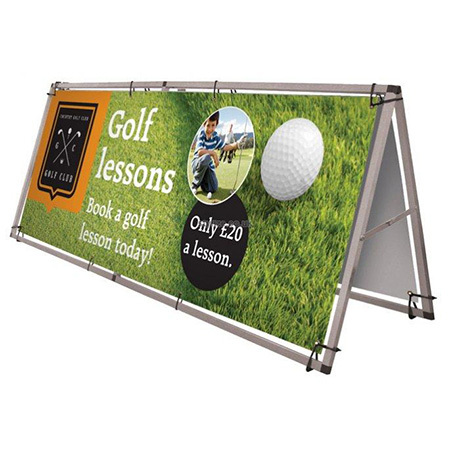 Giant horizontal banner frames, telescopic portable flagpoles, pop up tents and more. Much of our hardware is in stock for next day delivery. We have been producing event banner signs at our in-house studio for over 30 years, catering for all types of outdoor events. What material are your banners printed on? 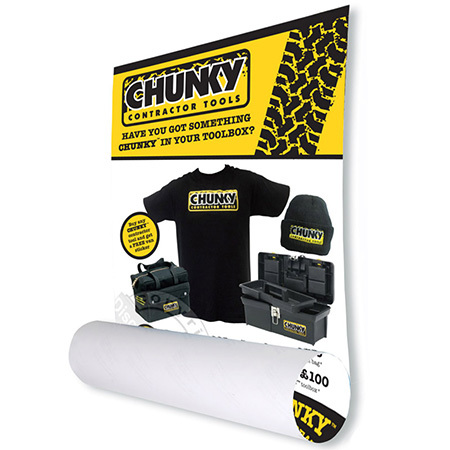 Our promotional banners are printed on PVC or mesh material. They are strong and weatherproof. Ideal for our unpredictable UK weather. Inks are fade resistant UV stable and fine for outside events. What is the best design for a promotional banner? Check out our free banner templates for some inspiration and have a go with our free online promotional banner design tool. What material should I use for my event sign? Two popular materials are Correx, which is a fluted PVC board, or Foamex. Both are outdoor durable. Correx is cheaper and more versatile making it ideal for directional and information signs. 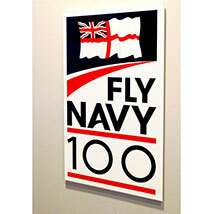 Where Foamex scores is it smooth print surface better for small or prestige signs and adverts. Can you design banners, signs, and flags for me? Yes we have set price packages. From simple economical Correx signage and directional signs to complete event sponsorship branding our team of designers is on hand to help. What are your popular products? Promotional banners for use as sponsorship or event advertising banners. Correx signs are cheap lightweight and durable used as parking information and printed directional signage for marathons, festivals and sports events. Foamex signs for site maps and sponsors signage. 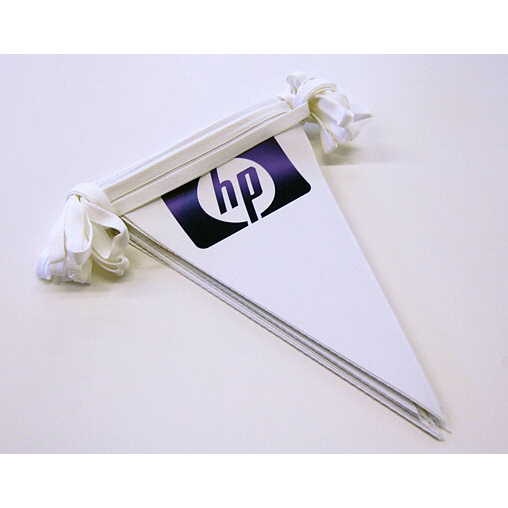 Portable feather flags are becoming more popular, a simple cost effective way of getting events and sponsors noticed at marathons, football or rugby festivals, or athletic championships. All our signage service are in-house, from design through to promotional sign printing to finishing which ensures top quality and a totally reliable service. If you need help choosing the right banner or sign for your event, try our sign wizard Click here for more info. You can learn more about large format print on our artwork print resource center.